Welcome to Weirskints Scottish Deerhounds. Scottish Deerhounds have grace, dignity and beauty. As companions Deerhounds are ideal, being tractable and easy to train and possessing the most dependable loyalty and utmost devotion to their masters. 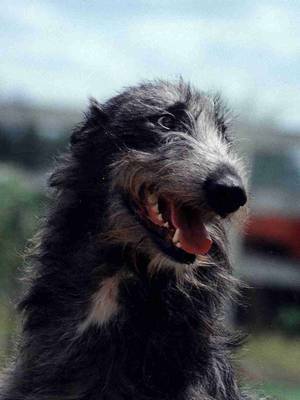 Scottish Deerhounds are mellow, low-key and easy going breed who loves outdoors and will chase anything that moves.